Once again, it is time for the Vancouver Centre to gather for our Annual General Meeting. This is where you, our membership, get to help decide what we will do in the coming year. 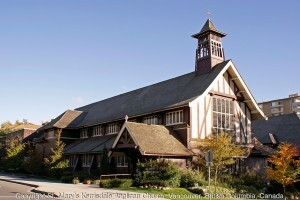 Following the successful pattern we adopted last year, we will meet at a church, this time St. Mary’s Kerrisdale (2490 W 37th Ave) on Sunday, August 21st at 3:00p.m. Pizza and Sushi will be ordered for dinner afterwards, with partial funds covered through the RCCO (as always, bringing a small snack or light dessert item to share is welcome). For those who missed out on the music sale after the member’s recital, there will be an opportunity to buy some quality music at very low prices. Member-at-Large Michael Dirk will offer sailing before and after (from ~12:00p.m.-2:30p.m. and ~6:00p.m.-8:30p.m.) for those who want to spend some time on the water. Seats are limited, so confirm with him which times you are available, if interested (mjdirk@hotmail.com).